Nothing seems to be more Irish than St Patrick. Nothing seems to be more Christian than the life of this saint. But at the same time, it are his legends that provide an inroad into the way Ireland was before and at the time of Christianity’s arrival. 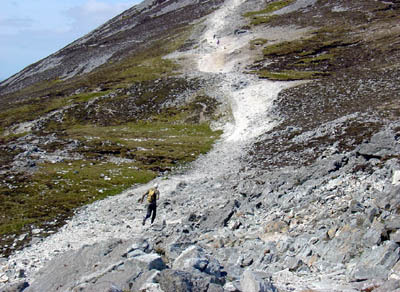 Croagh Patrick is a veritable mountain, rising 762 metres above sea level. The old name for the mountain is Croghan Aigle, which some translate as the Eagle’s Peak. The word Croghan in Irish usually refers to a conical shape, which normally implies that such type of hills were normally set out for specific reverence, because of their shape. When I visited, despite the fact that this was officially summer, the mountain was nevertheless completely – and I mean completely – shrouded in clouds, or rather one gigantic cloud. Even driving onwards to the next village did not allow any glimpse of this formidable hill. Therefore returning to the car park, it was clear that this was no time to be heroic – no-one else in the visitor centre was either. Instead, literature and audio-visual aides were there to turn explorers into armchair detectives. Yet, three days later, the cloud cover had apparently lifted as, while driving elsewhere in Ireland, several radio programmes were interviewing those that were ascending the mountain in the annual pilgrimage. The mountain is central to the religious experience of the Irish – whether that is Christian or pagan. The accounts state that St Patrick came here to fast for forty days, as a token of his covenant with God so that he would be allowed to judge the Irish people at the Last Judgment. The Catholics make a big deal out of this endeavour. They link the mountain with Mount Sinai and call it the Holy Hill of Ireland. It is said he stayed here in imitation of Moses remaining for forty days on Mount Sinai. But unlike Mount Sinai, Ireland is wet and windy, and Saint Patrick apparently only had a small cave or recess to hide from the fury of the elements. The stone on which he rested is sometimes still pointed out. It seems logical to assume that Croagh Patrick was indeed the sacred mountain of the pagan Irish, their “Mount Olympos”, the residence of their gods. And if St Patrick wanted to conquer the minds of the Irish pagans, he would have to climb the mountain, remain there, and return, thus proving to the people that the gods had agreed with his mission, and that he was rightfully their religious leader. That was most likely his mission, and in the final analysis, that was the mission he accomplished. From a Catholic perspective, the pagan gods that resided on the mountain were therefore turned into “demons”, who “mustered all their strength to tempt the saint and disturb him in his solitude, and turn him away, if possible, from his pious purpose. They gathered around the hill in the form of vast flocks of hideous birds of prey. So dense were their ranks that they seemed to cover the whole mountain, like a cloud, and they so filled the air that Patrick could see neither sky nor earth nor ocean.” But praying to God, the demons eventually left. Saint Patrick did not remove the mountain’s importance from the people. He knew that the local villagers climbed the mountain at the end of July, i.e. the festival of Lughnasa (August 1). Rather than abolish this tradition, in which the Celtic god Lugh was at the centre of worship, Saint Patrick kept the tradition, but instead dedicated the pilgrimage to the Christian God, and held it on Garland Sunday (the last Sunday in July), thus close to the ancient festival of Lughnasa, as well as St Patrick’s Day. Rather than a pagan ritual to the sun god, the huge snaking crowd now holds a Christian Eucharist on the summit. Its pagan origins were almost too faint for archaeologists, but excavations did uncover a large asymmetrical enclosure at the top, predating Christianity. If the pagans considered this to be a holy mountain, little archaeological remains will be found, as sacred mountains were often left “natural”; would anyone dare to build where the gods dwelt? Still, it is quite likely that pilgrimages to the home of the gods occurred, at least from Celtic times onwards, when many sacred mountains that were previously strictly off-limits did become accessible as part of the religious life of the communities. Peter Dawkins suggests that the original route was along the spine, and therefore not following the present path. His interpretation is in favour with other researchers, who feel that that this route is in line with the old pilgrimage path, which took the pilgrim from Cruachain in Roscommon to Caher Island in the west. The connection between the mountain and the sun god may seem odd, but we note that elsewhere in the ancient world, the connection between conical mountains and sun gods is well-established. Though made of pre-Cambrian quartzite, the mountain is known to contain gold deposits, a metal that is often linked with the sun. Some of this gold has been used by the ancient Celts for their gold ornaments – a discovery which came as some surprise to the scientists making it, as the mountain was not considered a likely source. Like gold, the crystalline structure absorbs and refracts light, its conical shape adding to the majestic towering effect the hill has over the surrounding landscape. 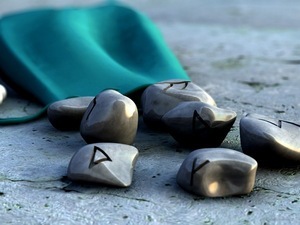 These properties therefore seem to have made it an ideal candidate to become the sacred domain of Lugh, the sun god, and his festival Lughnasa. 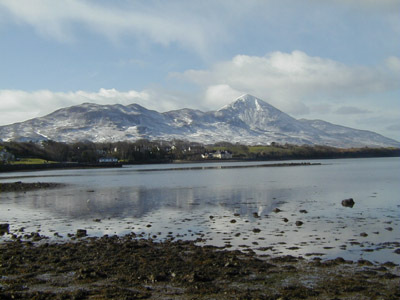 Croagh Patrick as a sacred mountain is not unique in Ireland. Brandon Mountain, Ireland’s second highest peak (3127ft), located in Co. Kerry, is linked with St Brendan and his alleged voyage to an island in the West, believed by some to be a voyage of discovery to America. Perhaps it is more likely that the island in question was the mythical Isle of the Blessed. There are traditions about this mountain that provide further detail on what happened at the festival of Lughnasa. Marie Mac Neill, author of The Festival of Lughnasa, states that there was an old Lughnasa assembly on the top of Brandon Mountain, which saw a harvest outing that involved climbing the mountain and going down into the village of Cloghane for a festival. No doubt, such a festival occurred after the climbing of Croagh Patrick wa swell. 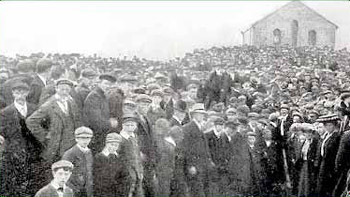 The festival has been revived and even the theft of the stone head of Crom Dubh, which was to be seen in the old graveyard in Cloghane until it was stolen in 1993, did not discourage the locals from making a replica head and celebrating the festival annually, “primarily a gathering for the local community and an attempt to rekindle the original spirit of the event”. Marie MacNeill has studied 180 Irish sites where the Festival of Lughnasa was celebrated. She has concluded that all of these were “purely pagan and earth-oriented in context”. Though 180 might seem much, she felt that originally there had been many more. Based on this and similar research, she concluded that Lughnasa was the biggest of all “Fire Festivals” – outperforming the traditional “Beltane Festival” which often saw bonfires lighted on hill tops. As MacNeill and others have observed, though, the large number of festivals did not mean that the festival lived on in folklore. The solar aspect of the mountain can also be seen 6.5 kilometres to the east of Croagh Patrick, where there is a remarkable stone outcrop, the Boheh stone, decorated with prehistoric inscriptions. The site has a “solar light show” which plays with sacred mountain in the background. Amateur archaeologist Gerry Bracken detected that on April 18 and August 24, the setting sun hits the top of Croagh Patrick and instead of setting behind it, slides down the northern slope, as if “rolling” down the hill. This phenomenon of a double sunset is similar to the double setting of the sun around the Paps of Jura, a holy mountain in Western Scotland. Croagh Patrick is not the only site dedicated to the Irish saint that was transformed from a Celtic sanctuary. St Patrick’s Purgatory is now notorious as a pilgrimage site – and was even more so in medieval times. Medieval maps showed it as a site as important as Dublin, indeed it was sometimes the only location identified in Ireland on some Mediterranean maps. Today, it is a non-existent community, whose existence only comes about in the summer, when the monastery opens to receive its annual visitors. If you do not know it exists, you will have a hard to time locating it on a map, and there is no chance that anyone chances across the location by accident while driving through Ireland; the nearest main road is miles away from the road towards the pier to the island in Lough Derg, in the general area of Donegal. Though it was July, I did not go on the three day pilgrimage, though there was still a steady stream of particularly middle aged Irish women who made the voyage, often dropped off by the rest of the family, who went their separate ways. In the past, pilgrims included Alfred of Northumbria, as well as Harold, who was to fight the Normans as King of England. Famous visitors accounts come from a knight Owein, as well as the Aragon noble Ramon de Perillos. Each of these visited the original cave, which was so popular that often 1500 visitors in a single day were counted. Some visitors apparently went insane, and some allegedly disappeared altogether. It should therefore not come as a major surprise that the cave was closed by papal decree in 1497, with the Purgatory moving to nearby Station Island, which had its own cave, but where the pilgrims’ health apparently was not endangered. This island has continued to be the centre of the pilgrims for the past five centuries. The site is obviously linked with St Patrick, but is also linked with Croagh Patrick. The legend states that Patrick was drawn here by the triple goddess Corra, a pagan goddess who apparently tried to reclaim Ireland to the pagan gods after Patrick’s recent success at Croagh Patrick. On his flight – indeed – from Croagh Patrick, he looked down, and saw that she had taken the form of a serpent, lying in the water of Lough Derg – the Red Lake, though Some recent authorities prefer to read Derg as a form of the Irish deirc, “the lake of the cave”. Descending to investigate, she swallowed him whole. It took Patrick two days and two nights to cut himself free, killing her in the process. The water turned red with her blood and her body turned to stone, forming the islands in the lake. The story is once again full of pagan imagery: Patrick had somehow achieved the ability to fly, which is a very shamanic quality. It is also in line with the imagery of the holy mountain, i.e. the eagle. The goddess Corra abducted him into the Otherworld, but he was able to escape. As such, Saint Patrick has once again succeeded another test, which proves his agility to instil a new religion over Ireland. 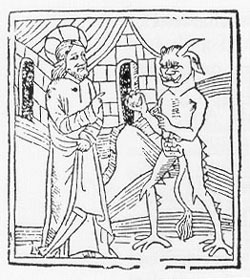 The connection between an eagle and a serpent is common mythological theme, written down by Aesop as a fable under that name. It was said that once Patrick was victorious over Corra, all serpents disappeared from the island – and none exist today. It is clear that the story needs to be read allegorically, in which we can thus see that once Patrick had succeeded this test, the pagan gods had finally been conquered: Ireland was now Christian. 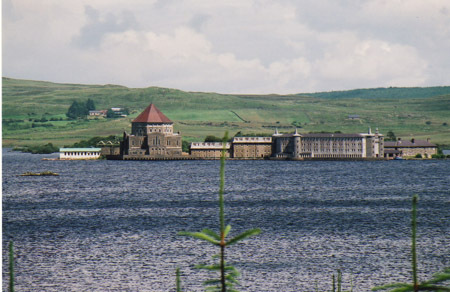 The story also shows that the lake, in pagan times, was a major religious site. On Station Island, there is a prehistoric mound visible. The cave of the purgatory equally has clear pagan overtones. It fits within a long, European tradition, of “incubation”, or “temple sleep”, in which initiates arrived in a temple and were allowed to enter the Otherworld, either through sleep deprivation, hallucinogenic drugs or other mind-altering techniques. The serpent Corra is a clear indication of this, as the serpent was specifically connected with such sanctuaries; in those Mediterranean temples where incubations were practised, snakes were allowed to roam free. The practice of “incubation sleep”, involving a descent into the Otherworld to meet the ancestors, was a common practice throughout pagan Europe, and specifically famous in Greece and its colonies. But when the Romans conquered the Europe, they definitively closed these sanctuaries, stopping the practices. Often, even the sites of these underground temples was lost over time. But Ireland was never conquered by the Romans. And thus, it seems likely that when Saint Patrick came to the island, he found these “incubation temples” intact. The “dream cave” of Lough Derg was thus merely transformed into a Christian site; the Otherworld was transformed into Purgatory. But it is clear that the pagan methods that instilled a descent into the Underworld remained to be used until the late 15th century, when, just like the Romans 15 centuries before, it was felt that the practice was too dangerous. Thus, the only official site of “temple sleep” in Europe was closed off. 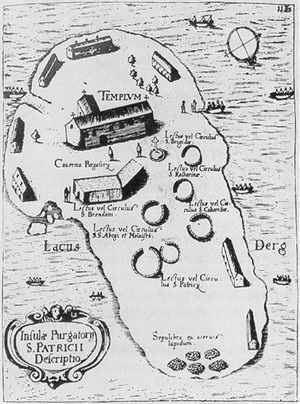 Saint Patrick’s Purgatory still describes itself as “One of the oldest places of pilgrimage in the Christian world and one of the few remaining penitential pilgrimages”, but in truth, it has lost both the site and the technique where and how penance was done and access to Purgatory was granted to the pilgrim. But its truly pagan roots are now on a small and abandoned island elsewhere in the lake, where few visitors come… and where even fewer people realise the pagan origin of the site and the experience… just like the annual pilgrims at Croagh Patrick are often unaware of its pagan roots.